Why would I need self storage in Port Richey, FL? There are a variety of reasons why you might need self-storage in Port Richey, FL. How much is a storage unit in Port Richey, FL? The cheapest storage unit in Port Richey, FL is $49.00 per month. What size storage units do you have available in Port Richey, FL? In Port Richey, FL we have sizes that range from 5'x5' to 10'x35' to suit your storage needs. How much is it for a 5'x5' storage unit in Port Richey, FL? The cheapest 5'x5' storage unit in Port Richey, FL is $49.00 per month. 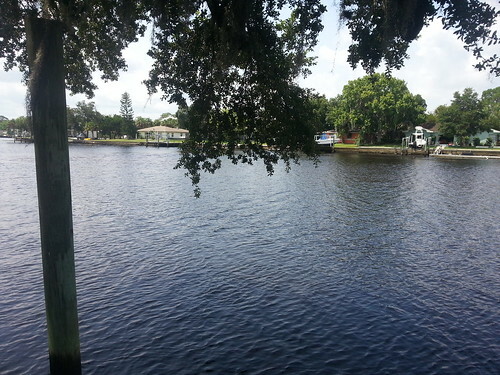 Port Richey is a small, cozy town in Florida's Pasco County, located on the state's western coastline. Covering less than 2.5 square miles, the town is home to just a few thousand people. It's known as a quiet, relaxing town nestled in the scenic natural landscape, conveniently near its larger neighbor, New Port Richey. Although Port Richey was first incorporated as a city in 1925, the area was settled long before that. During the Civil War, a salt works operation was established very close to the site of the town. Settler Aaron M. Richey moved to the area from his home state of Missouri and set about establishing a structure for the small town. Deciding that the community needed a local post office, he decided to operate one out of his home in 1884. The tiny community was eventually named for Richey, slowly growing over the next several decades. When the nearby community of New Port Richey won incorporation in 1924, the citizens of Port Richey decided they wanted the same for their home. After its incorporation, Port Richey experienced several population spikes, mainly in the 1940s and 50s. However, the town still remained very small, preserving its tight-knit sense of community to this day. Although Port Richey is too small to have a large variety of businesses offering a wide range of jobs, you could easily seek work in New Port Richey. Looking for work in nearby Tampa is also an option; it takes less than an hour to drive between Port Richey and Tampa. The average commute time for Port Richey residents is on par with the national average, so commuting to other cities doesn't mean you'll have to spend hours in your car. There are plenty of things to enjoy about life in Port Richey, including the famously sunny and warm Florida weather. Beautiful beaches are nearby, so you can easily enjoy sunbathing, swimming or water sports. For recreation, head to a local park or make the trip to Tampa to see a show or sporting event. It only takes a couple of hours to drive to Orlando, so it's always easy to escape to Disney World for a weekend. The Pasco County School District manages the public schools of Port Richey. There are a couple of small, private campuses near Port Richey, but none of note within the city limits. Utilities: The county is served by several different utilities providers, including Progress Energy, Tampa Electric and Clearwater Gas. To determine your specific providers, you can consult your neighborhood homeowners association. Garbage and Recycling: Port Richey and its surrounding Pasceo County doesn't provide residential trash collection, so it's up to you to choose your own private waste disposal company. It can be helpful to ask your neighbors or homeowners association which companies typically work in your community. Transportation: Port Richey is served by the Pasceo County Public Transportation division. There are both homes and condominiums in the Port Richey area that fit a range of budgets and tastes. Because the community is so small, the housing market is somewhat limited. However, options are generally very affordable, with a median home price that's well below the state and national averages. Our lowest priced units in Port Richey, FL average $49.00 per month. 51 people have reserved units in Port Richey, FL in the past 30 days. There is 1 location within Port Richey, FL's city limits. There is 1 location in Port Richey, FL that offers AC and Heating features.